As is often said, real estate is about location, location, location. We have extensive knowledge of the Maryland commercial market and can help you find the right solution for your commercial needs. 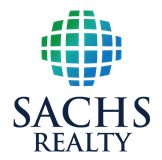 This is a one-stop real estate website for all your commercial buying, leasing and selling needs in Maryland. Contact me if you would like more information on finding commercial property to buy or lease or if you want to sell your commercial property.